The former Ireland fullback on taking over as Azzurri boss and the prospect of facing his homeland in Rome next year. THE INCOMING ITALY coach takes a moment or two to respond. The question is a simple one but the answer more complicated: why didn’t Conor O’Shea take on a rugby job in Ireland? “I’ve never really thought about it, to be honest”, he says. The 45-year-old former Irish fullback had already confirmed his intention to step down as director of rugby with the Aviva Premiership side at the end of the current campaign when he was confirmed as the Azzurri’s head coach last month. The four-year deal, which had long been predicted, still had many wondering why such a successful and well-regarded Irish rugby figure hadn’t been lured home. But he stresses there’s no hidden agenda or skeleton in the closet. So, can he see himself working in Ireland at some stage? “I don’t know. I know where I’m working for the next six or seven weeks and I know where I’ll work afterwards. After some initial encouragement owing to a two-point defeat in Paris, Italy’s Six Nations campaign ended with back-to-back thrashings against Ireland and Wales. They conceded 125 points in 160 minutes and it proved a dismal conclusion to Jacques Brunel’s time in charge. Still, O’Shea refuses to dwell on the negatives. “It’s getting out of your comfort zone,” he says. “It’s what makes life fun. Without a bit of a challenge or a bit of freshness in your life… I’ll spend my whole life, hopefully, with my wife and kids and we’ll have something to look back on. He admits to having allowed himself think about the prospect of next February – when Italy host Ireland at the Stadio Olimpico – but remains coy on how he feels about facing Joe Schmidt. “He’d never be a foe, I hope,” O’Shea says. O’Shea has already raided the Irish setup and will bring Steve Aboud, the IRFU’s head of technical direction, with him to Italy from 1 August. Aboud will take up a newly-created role as director of elite youth performance and will oversee the training of underage players and coaches. Meanwhile, former England player and coach Mike Catt will also be part of O’Shea’s regime – taking over as skills and attack coach. “I’ve known Steve since I was eight,” O’Shea reveals. “The Junior Cup final in 1978. Terenure v Blackrock when my brother’s team beat them. He was in charge of the academies over here and he was a great friend to me in bad times – which I think is the true test of somebody. So I’m looking forward to reacquainting myself with him, seeing what he does and what I’m going to do. 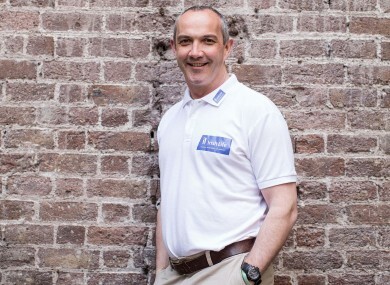 Conor O’Shea is an ambassador for Irish Life MAPS (Multi Asset Portfolio) – a range of unit link funds, available across the company’s pension, investment and savings plans. Email “'I love my country but I'll see where my life takes me': Conor O'Shea on seeking opportunities outside of Ireland”. Feedback on “'I love my country but I'll see where my life takes me': Conor O'Shea on seeking opportunities outside of Ireland”.